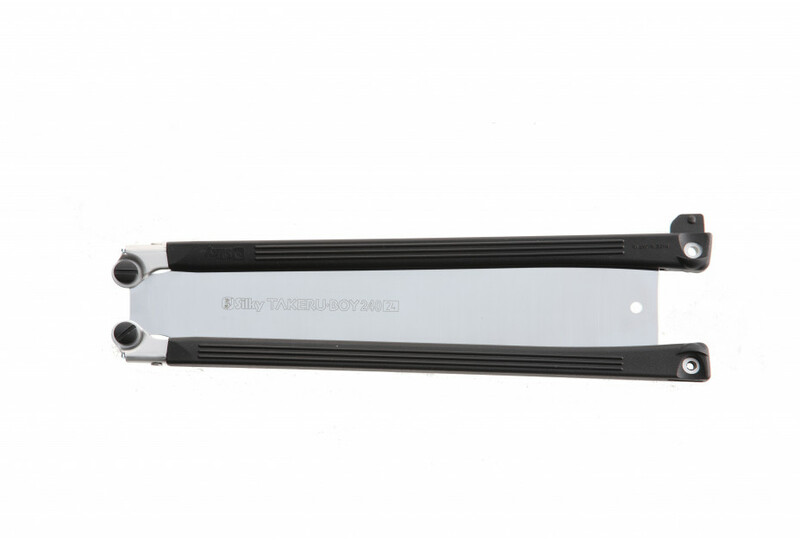 An International Forum Design Gold award winner in 2012, the new Takeruboy is the only saw on the market with the "butterfly" handle. 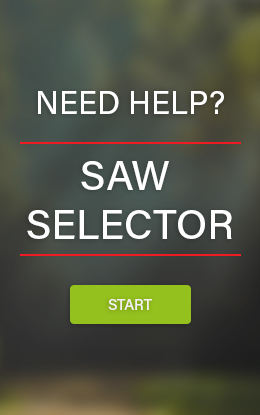 This exclusive design allows the 24.5" overall length of the saw, including handle, to fold down to only 13". 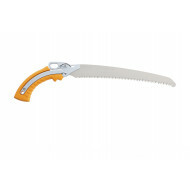 Takeruboy is a Japanese, traditional-style carpentry saw with a ryoba blade and an innovative, rubberized handle. 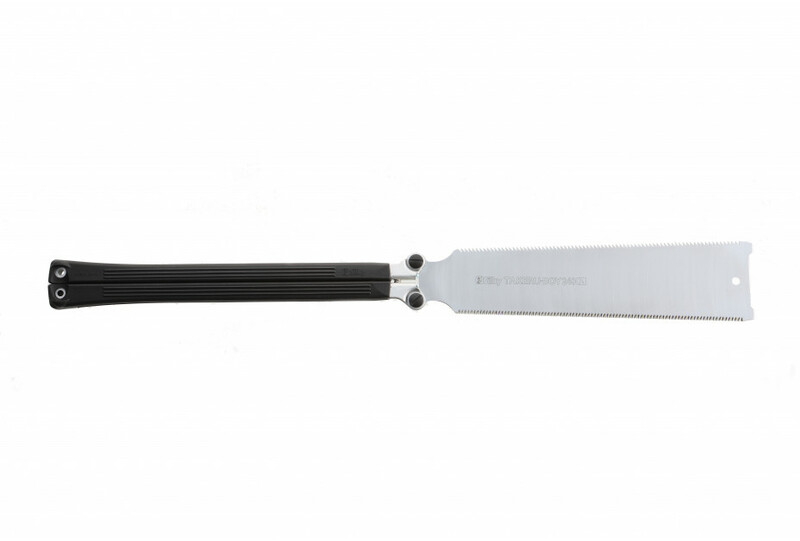 The wide blade, which helps make precise and straight cuts, is equipped with cross-cutting teeth and rip-cutting teeth on opposite edges. 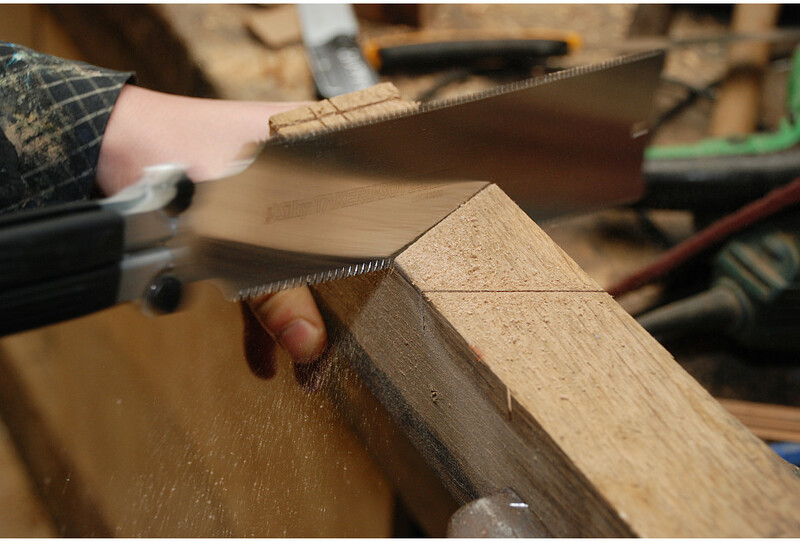 Both types of teeth are non-set to ensure a smooth finish and the blade is concave-ground to give less friction when cutting. Manufactured from superior SK4 Japanese steel and using Silky's proprietary manufacturing process, expect the Takeruboy to produce quality cuts time after time. 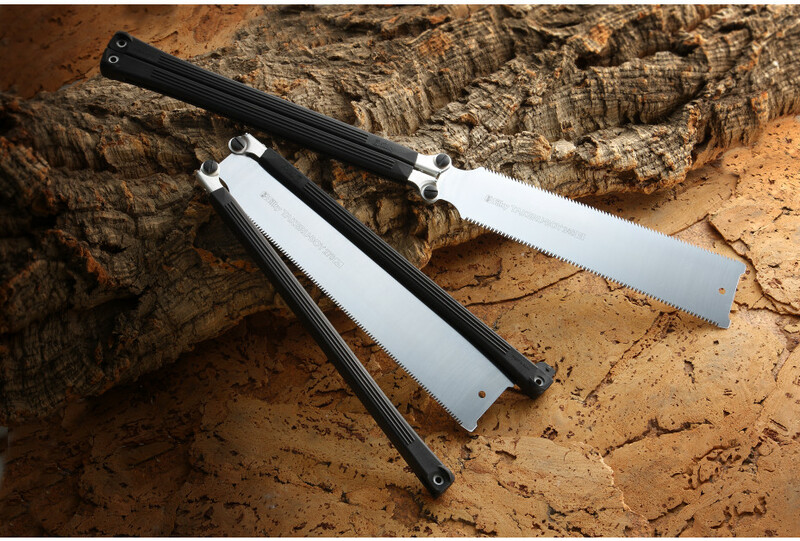 Where winning design meets a winning performance with every project, Silky's Takeruboy is setting a new standard in folding saw excellence. 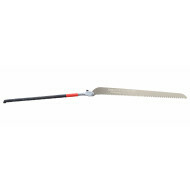 The Takeruboy is available in 2 lengths (blade of 240mm and 270mm) and 2 types of pitch (18 per 30mm and 24 per 30mm).